Sushi is one of my favorite go-to meals when I’m running short on time. While the dish itself requires some time to prepare if made from scratch, the varieties are endless, making it a meal that I can eat over and over again without tiring of it. Sushi is prepared with rice, seafood, and vegetables and served with pickled ginger, wasabi, and soy sauce. Traditionally, sushi consisted of raw seafood, but can also be prepared with cooked seafood or completely vegetarian/vegan. As a vegetarian, I’m often challenged with getting creative when it comes to meals. 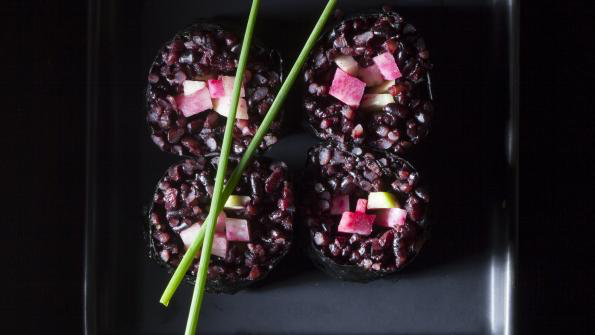 Black Rice Sushi is an easy dish that combines the nutritional benefits of black rice with fresh vegetables. 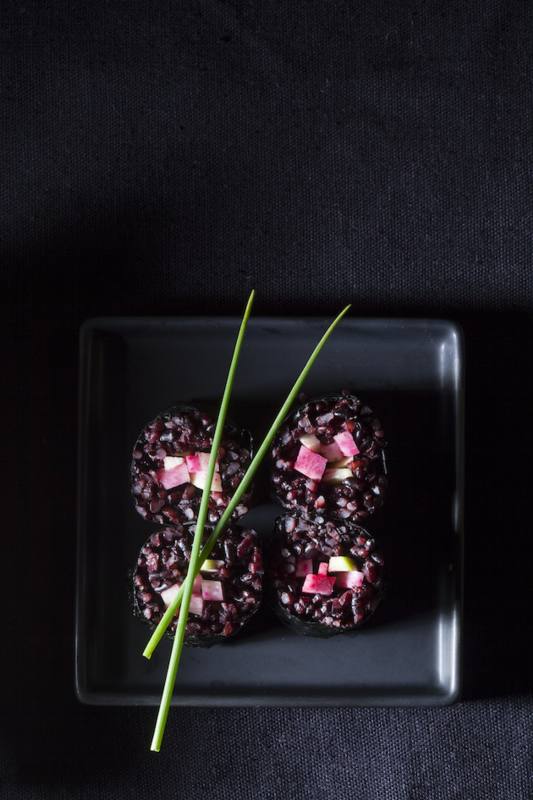 Black rice is high in iron, protein, and fiber and contains the highest amount of antioxidants of any rice. 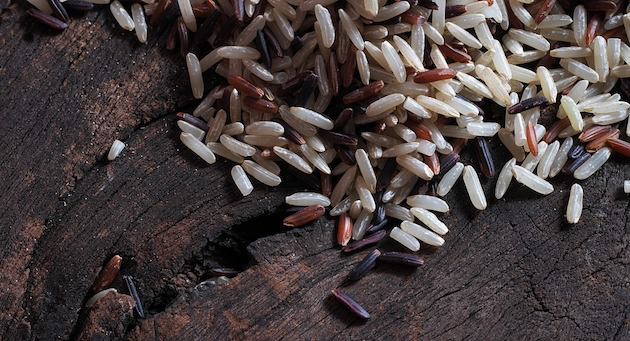 Use it in porridge, desserts, traditional Chinese black rice cake, bread, and noodles. For additional healthy recipes, visit Delicious Living.